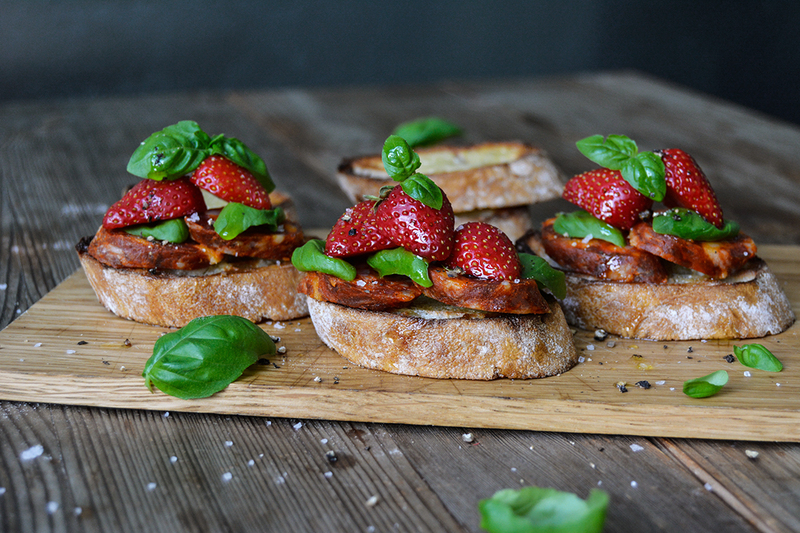 I found a new duo that comes close to perfection: chorizo and strawberry. It’s an unexpected match, the fruity sweetness and slightly hot, porky sausage merge beautifully, as if they had just been waiting to meet. 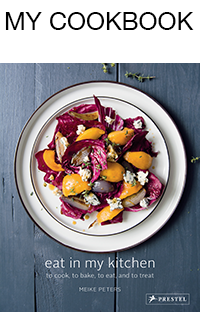 It started as a quick snack while we were cooking, we filled our glasses with our favourite summer wine and looked in the fridge to see what we could nibble on while chopping and stirring the ingredients for our dinner. 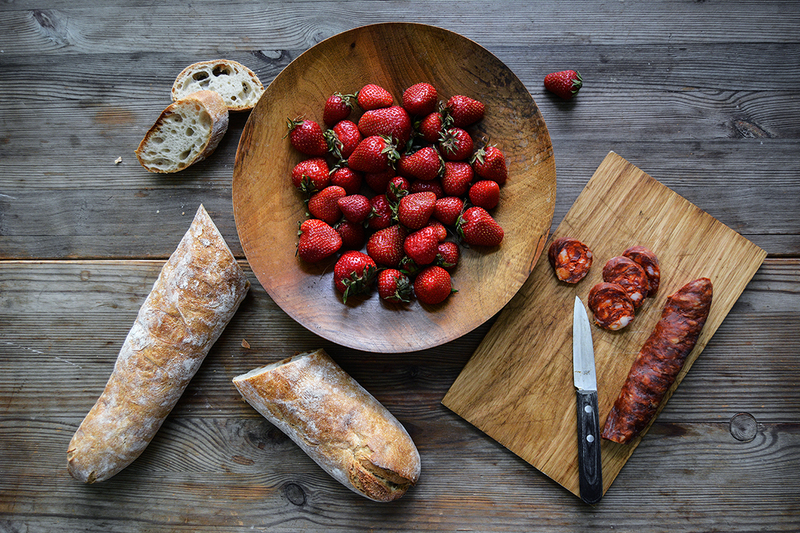 The red sausage and berries caught my man’s attention and – in these moments he’s a little more brave than me – he sandwiched them and stuffed a rather large portion of it in my mouth. We immediately discussed what we could do with this new find. A salad? I’m not a big fan of meat in my salad. Pasta? I don’t like the combination of pasta and strawberries. I tried it, but it just tastes wrong. 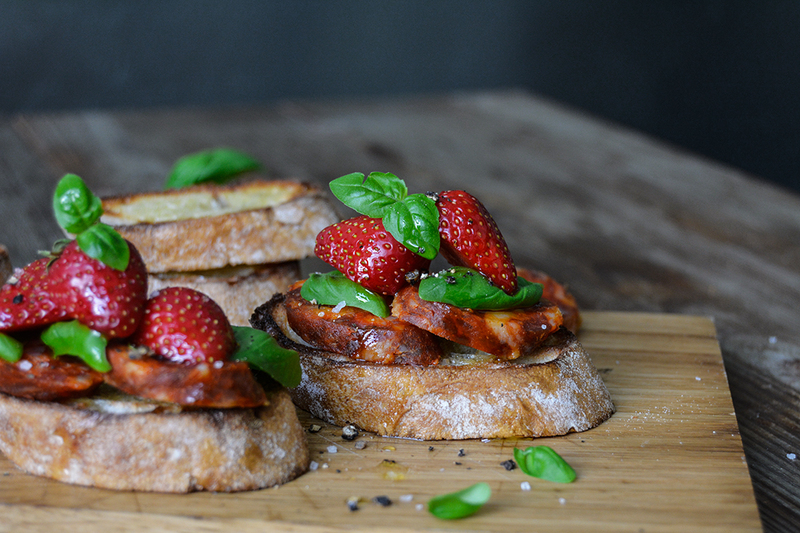 An open sandwich seemed like the right answer, a golden Italian bruschetta drizzled with good olive oil, crowned with thick slices of the peppery salami and juicy berries. 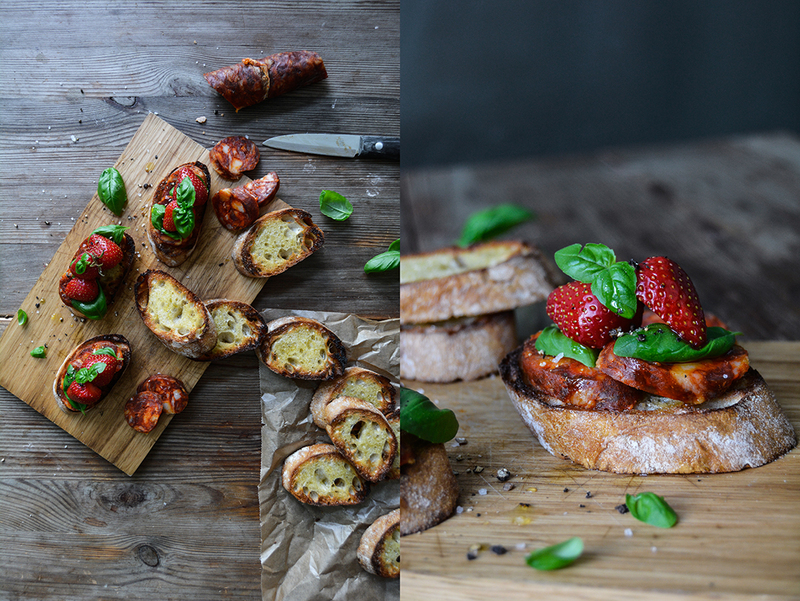 Some fresh basil, salt, and pepper, and you have the perfect snack for summer on your plate. To roast the bread, set the oven to broil (grill). 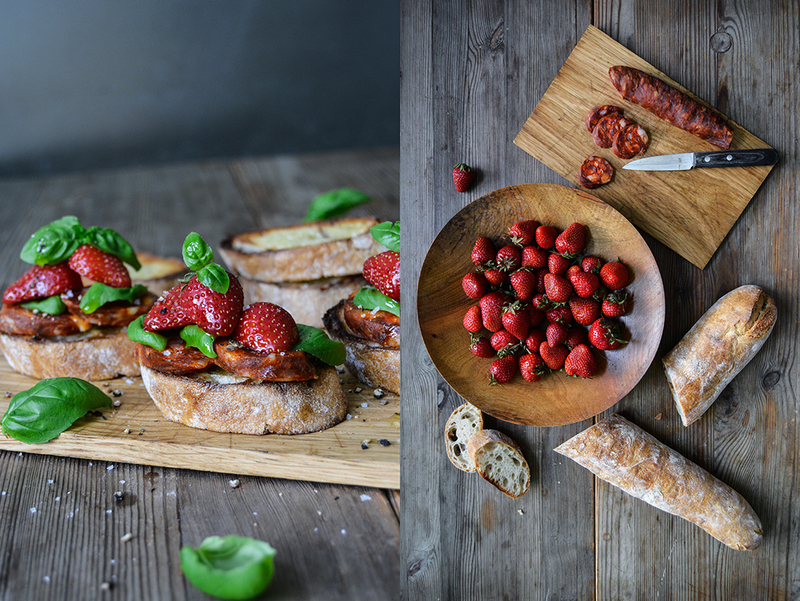 If your oven doesn’t have a broil setting, toast the baguette in a hot cast iron pan. 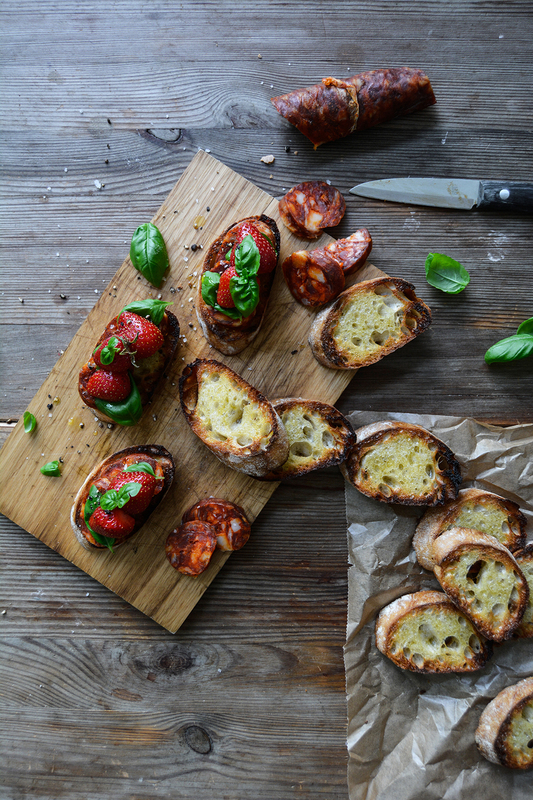 Brush the baguette on both sides with olive oil and, if using your oven, spread them on a baking sheet and roast for 1-2 minutes on each side or until golden brown, but not burnt. If you use a pan, in batches, spread the bread in the pan and toast on both sides until golden. 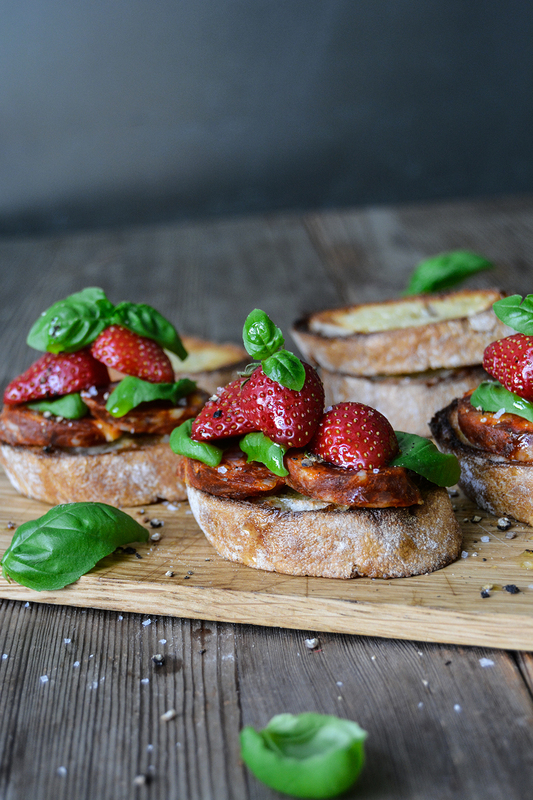 Depending on the size of your bread, pile up 2 slices of chorizo and 2-3 strawberry halves on each bruschetta. Drizzle with a little olive oil and sprinkle with basil, crushed pepper, and salt. Enjoy! Ohhh! This looks sooo good! I’m drooling-must try!